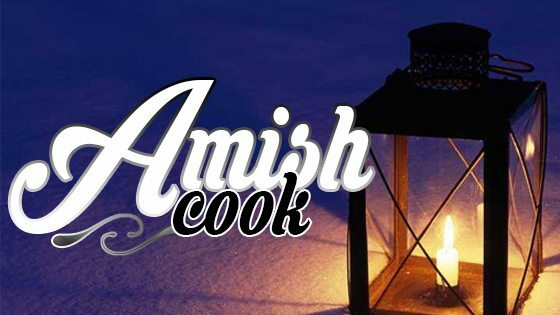 Since our move here to “the home place,” which is an Amish term used for the homestead where the parents used to live, we have been blessed with the opportunity to host some large church gatherings and events. This week we had such an occasion, when we had our annual hog butchering. It’s a two-day deal where everyone in church chips in to do their part. Tuesday was the first day, when all 19 hogs were butchered and dressed, and some meat was trimmed off and ground. A portion of it gets mixed with venison to make bologna or hot dogs. We have found it to be a tremendous asset to have a bunch of bolognas stuffed and ready to be placed into the smoker first thing the next day. The following day is definitely the biggest day of the two. At 4:00am the first folks began arriving to get an early start on the big day ahead. I confess I didn’t make it out that early. For once I was the one snuggled under the covers. I could hear the chatter of voices in front of the shop, where they had blazing fires under huge, 100-gallon cast iron kettles to boil the portions of bones that had been trimmed off, but still had fragments of meat on them. Yes, I was on duty for our sleeping little ones and slept until 5:30. While there are some added responsibilities of hosting events such as this, there are also added blessings. I was just so pleased to let the children sleep as long as they wanted, while I was in and out of Daniel’s shop the rest of the morning. By 6:30 we were ready for devotions, shared by Nate Zehr. I was blessed by his simple way of expressing how love is the greatest, even on butchering day. Next, we dug into the yummy breakfast casseroles made by a few of the church ladies. Too bad you weren’t there to sample fresh cinnamon rolls made by my sister-in-law. I just grinned at Daniel, who took liberal helpings of his favorite pastries. Homemade yogurt and fresh tea and coffee complimented them perfectly. Soon it was time for everyone to go back to the stations they had been assigned to. Something new this year that one of the guys invented was a grinder with a head that pushed the meat out in long flat strips. These strips were then cut, every couple inches, resulting in a nice square hamburger shape. With the seasoning being mixed in earlier, they were now ready to be frozen, then thawed and placed straight onto the grill. Packaging was my primary job, next to taking care of the children, of course. This year most of the meat was vacuum-sealed to help keep it fresh longer. Though the boys are the ones responsible for the stuffing, I am always fascinated by it. Large, home-fabricated stuffers work well to stuff hundreds of pounds of meat efficiently. After the bologna has smoked for a couple hours, it is then wheeled outdoors on a cart especially made for that purpose, holding up to 250 pounds. The sticks of bologna are then placed side-by-side on a large table, and sprayed with cold water to help cool them down. Once cooled, they can then be placed in vacuum bags, ready for the freezer. And for interest’s sake, yes we do have freezers, run by generators, solar power, or for folks like us, from the diesel that runs the shop equipment. Though I have never helped with the mixing part, I always admire the ones with the job. It takes much concentration and effort to keep everything straight. With each bowl or tote with meat that comes through, they check the labels to see what the contents are, and to whom it belongs. From the shelves that have been marked with each family’s names, they then get the appropriate bag with seasonings (that each person had prepared earlier), and check the instructions on it. Then, weighing out the meat, they mix up the correct ingredients. Just watching them makes my head feel tired, I think I’ll stick with caring for babies! By noon, everyone is ready for a break, although we all snacked throughout the morning on the delicious assortment of homemade cookies, salty snacks, tea, and coffee. While we had all helped furnish food, those on the food committee took responsibility for it to be ready and served. After a short break, jobs were once more resumed. Never do I see stacks and stacks of dirty dishes like I do on butcher day. When you think you’re about done, another stack of greasy buckets, more knives, or yet another pile of bowls are about to be set on the table to wash. Not to mention all the grinders, tables and the likes that require their fair share of scrubbing, to remove all the greasy residue. Large pieces of plastic or tarp are taped down on the floor before all the butcher equipment get moved in, simplifying floor clean-up. Our standby on butcher days is the deer sausage we make each year. Mixing half venison and half pork, we add breakfast sausage seasoning, resulting in a delicious combination, perfect for burgers, sausage gravy, or even browned for casseroles or soups! I’ve cut down our recipe to a smaller scale for you to try! This year we mixed up 150 pounds of this for us. By the way, you’re welcome to pop in and join us for next year’s butchering! Just let me know, and I’ll contact you when we have a date picked out for next winter.